Asphalt shingles are an excellent and affordable option for your Concord home. When deciding the type of roof that you want to have installed, there are a wide variety of choices. 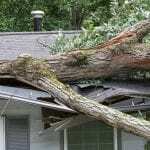 You could have a metal roof, tile roofing, asphalt shingles, or wood shingles. Each of these comes in different colors and styles, as well. Sometimes it may seem overwhelming for homeowners to decide what type of roofing material they want for their home. We largely advocate for asphalt shingles. We have been in this industry for years and know why this is the most common type of roofing that people choose. Asphalt shingles are the most affordable option on the market. They are also very durable. Although there are some roofing materials that last longer than asphalt shingles, those are much more expensive upfront. Asphalt shingles also come in every color and style, so you can be very specific with the details that you want for your roof. At JM Reynolds Builders, LLC we work hard to provide you with the best quality roofing materials for the best price. 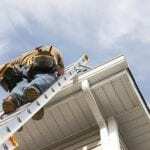 We have spent years in the roofing business and have been very focused in our approach, so we can give you the best choices to protect your home. Asphalt shingles are an excellent and affordable option for your Concord, North Carolina home. We enjoy the opportunity of providing our customers with such high-quality results. We have worked hard in this business for years and take great pride in our craftsmanship. We look forward to working with you and helping you create the roof that best suits you and your home. At JM Reynolds Builders, LLC, we install asphalt shingles in Concord, Kannapolis, Charlotte, Salisbury, Mooresville, Huntersville, Granite, Quarry, Davidson, and Paw Creek, North Carolina.